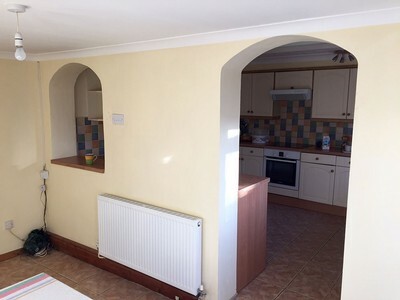 Remove wall between kitchen and dining. Structural engineer report was required and building regulations inspected and signed off work. 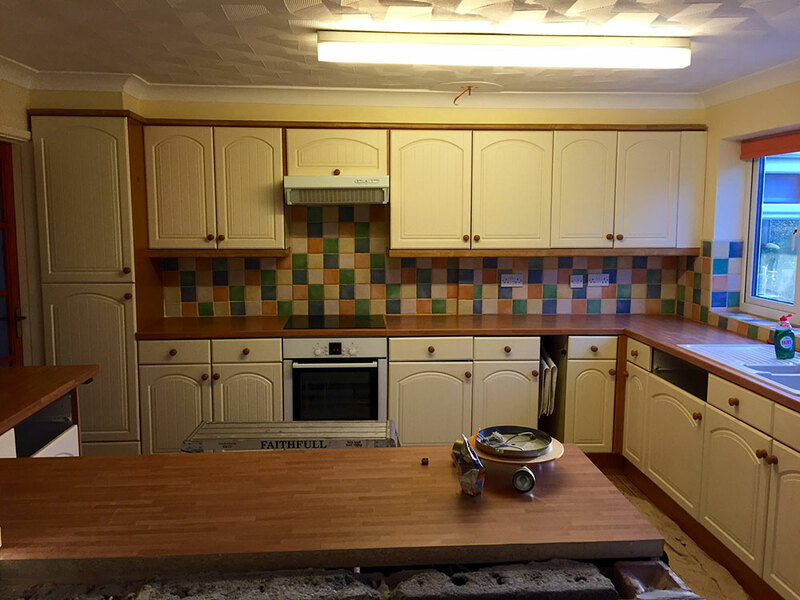 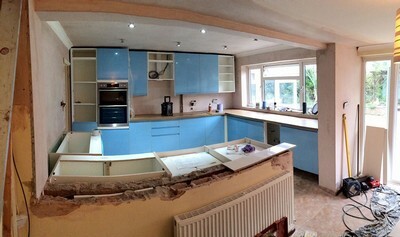 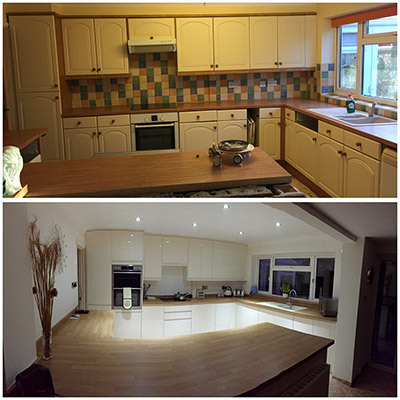 Old kitchen removed and new kitchen installed. New spot lights fitted in ceiling. Great plaster job on making good of steel beam installed. 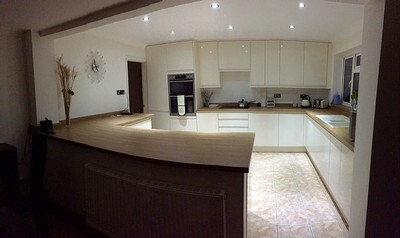 All appliances top of the range aeg. Lovely large breakfast bar.